Chateau wine cellar cooler collection apart is a simply elegant recessed interior lighting that will make your wine look even more desirable. Available in three sharp colors – monochromatic black with black interior, monochromatic white with white interior, or stainless steel with black interior – this is the wine cooler that is just elegant and functional. See the entire Marvel vine cooler line. This Amana refrigerator looks simply stunning. Available in both, side-by-side and full width configurations, the refrigerator is made from brushed stainless steel that is in perfect harmony with black, grey or mirrored polished glass panels. Both Amana configurations are 36 inches wide. See more at Amana appliance. This Miele integrated dishwasher fits into any contemporary kitchen with a flawless ease. The control display and door panels are available in white, black and stainless steel. 19 wash programs are available including Miele custom China & Crystal program designed specifically for a gentle china and crystal wash.
Baumatic created this Retro oven for those who may have some nostalgia about how things used to be. Pink oven may seems a little strange to some, but Baumatic thinks that many will like it. 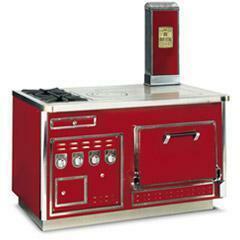 Visit Baumatic for more cool ovens. Gaggenau IK 360 wine cooler from Gaggenau appliances provides ideal conditions to store your most coveted wine. 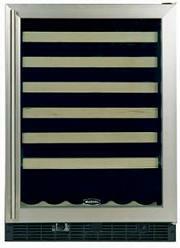 This wine cooler comes as stand alone or built-in and made of beautifully finished stainless steel. 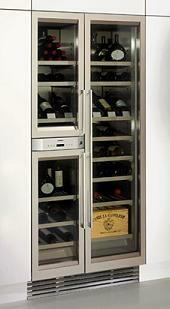 With the maximum capacity of 118 bottles, this Gaggenau IK 360 is one of the best wine coolers on the market. 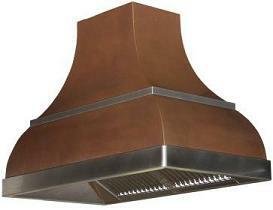 This ceiling mounted hood from RangeCraft Baroque series is made from smooth antique copper with stainless steel trims. This range hood looks very exquisite. Old European style and American craftsmanship make RangeGraft range hoods look like an art. Neff oven is always a nice present. Neff uses its own CircoTherm system that heats up the oven very fast so you don’t have to waste time on preheating. 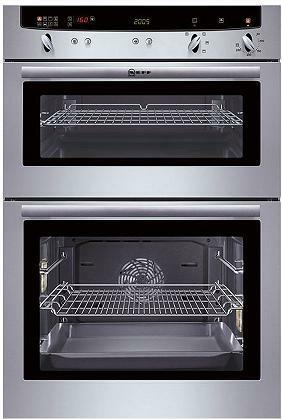 Beautiful design, clean lines and large capacity make this double oven from Neff one of our favorites. Electrolux builds exceptional gas stoves, and this professional Molteni stove is literally hand made, meticulously manufactured one piece at a time, and craftily assembled. This gas range made of sturdy steel and looks rock solid, but as every stove that is made by Molteni, it fits perfectly into any kitchen with ease. Diva build a kitchen island with everything the most demanding chef would want. The kitchen island can have up to four ovens, warming cabinets, drawers, large working area and sizable kitchen sink. See more at Diva de Provence. 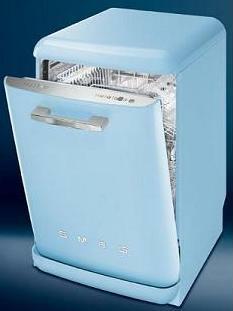 With 14 place settings, 10 programs, 5 temperature options, adjustable water softener, tilting upper basket and self balancing hinges, Smeg retro dishwasher is a perfect combination of retro style and modern technology. See much more at Smeg.